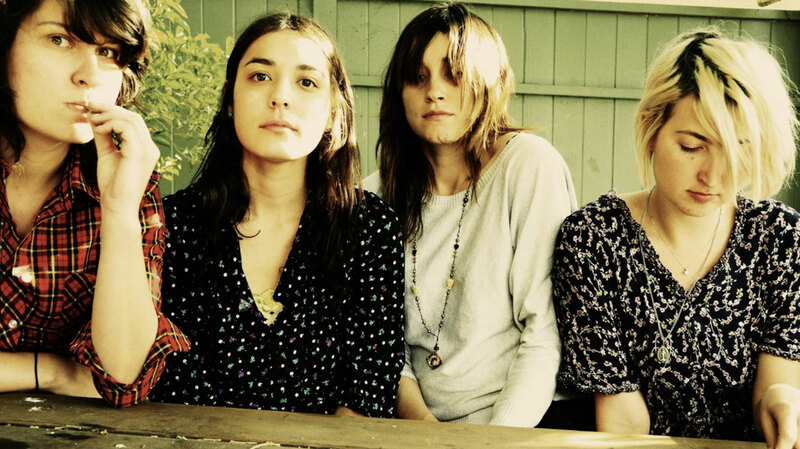 LA art-rockers Warpaint are back, and following up The Fool with an eponymous album they wrote in the desert. Drummer Stella Mozgawa talks us through their decisions to record at Joshua Tree with PJ Harvey’s producer, and shares her thoughts on the state of guitar music in 2014. A big congratulations on the new album, Stella. Did you set out with a clear goal, sonically? I think we did, just because we knew what worked and what didn’t from playing songs live. In the past, certain things have worked when you’re listening to them on record but they don’t necessarily really have the same impact when you play them live. So I feel like we were a lot more conscious of not over-crowding any ideas, whereas we were always very sensation-based before, just trying to find things that felt good to play. I think this album was a little more measured in that way. To us, it feels a more focused record than The Fool. Would you agree? I would love for that to be the response that people have to it. It’s interesting just talking to journalists about the album. There’s been a really interesting schism, with some people going, “Wow, it’s so ambient and floaty,” and others agreeing with you. When I listen to the record now, I hear that bond – that collaboration – and that level of creativity. This is the first time that all four of you have written together, right? Yeah. From the ground up, at least. I joined the band maybe three weeks before we started recording the first album, so there were a lot of cases where the girls brought in songs that had existed for several years, and were in a constant state of change. There wasn’t really a lot of time to re-establish things, so it felt more like we were in survival mode on The Fool, just trying to make a good album. This time we went out of town, to Joshua Tree for a month, just to focus on writing this album. We feel very fortunate that we had the opportunity to do that, especially when most people are being pressured and rushed into releasing things all the time. It really allowed us to spread our wings as a band. Do you think being in relative isolation had any impact on the kind of music you made? I think it made the music more focused in that it gave us some very welcome isolation from the distractions of everyday life, so we had time to focus solely on making music. And it was a bonding experience for us too. When I listen to the record now, I hear that bond – that collaboration – and that level of creativity and freedom that we were afforded. There’s this strong undercurrent of love in the record. Not in a cheeky, pop kind-of way, although that can be magnificent. It’s more that I think that everyone has become a completely different person – or established the person that they really want to be – over the course of being in this band. And this record is a reflection of that. Can you tell us more about how the creative process differed this time round? We were just exploring different textures and swapping instruments and stuff. I mean, we always do that – say with Theresa playing drums and me playing guitar – but we definitely experimented more with different instruments this time round. There were no holds barred, no rules. We were just working together to write music that sounded good to us. What prompted you to work with Flood? Years ago, Emily asked a friend who she thought would suit us, were we ever to hire a producer, and immediately he said Flood. So when we started thinking about using a producer on this record, there was really only one name that came up. We just organised a meeting with him on a whim and, fortunately, it turned out he was interested in meeting us. He’s definitely quite selective about what he works on, though not in a snobbish way. It’s more that he’ll work with an artist if he feels he can assist them in realising their vision, and if he can get something out of a collaboration, creatively. If he feels like there’s no space for him, then he usually opts out. Did he live up to your expectations? Yeah, absolutely 100%. It was kind-of a scary thing for us to work with a producer in general, just because we’d never really worked with someone in that capacity. I mean, we had a producer on the last record but it wasn’t the same kind of experience. We were so used to having control over everything that we do, that to give that over to someone else is a little bit terrifying sometimes. But he’s a real, true collaborator. It’s not about him taking the money and running, it’s about him listening to a band and looking at the personalities involved and thinking about how he’s going to influence that dynamic, and how he’s going to enhance the music. It was a really wonderful experience to have someone as wise as him on our side. You’ve cited R&B and hip hop as an inspiration on the album. What elements of those genres inspired you? It’s difficult to answer that, because I don’t think that we listen to that kind of music because it possesses a certain quality. It’s more that hip hop can be really satisfying because it sustains and completely exploits one idea or one beat or one moment of excitement to its fullest potential. And R&B and pop music can do that as well. They’re all focused and aware of their own qualities, you know? I think music like that is really satisfying because it just sounds f*cking good. In the three years you’ve been away, guitar music’s fallen slightly out of favour. What’s your take on that? I think it’s like looking at a giant puzzle and only focusing on a puzzle-piece. I think you could have said the same thing about the early 2000s. Or about when there was an Eighties revival, and there weren’t really many rock bands unless they were like Nickelback. I think there’s a little bit more of a resurgence of guitar music now than there was even a few years ago, with this whole 90s grunge revival going on. I think that the minute any musical style is out of fashion – whether that’s guitar music or synth music – and something else becomes mainstream, there’s always going to be a revolt against that, and it just goes on into infinity. I mean, I don’t really have my finger on the pulse, so I don’t really know what’s happening, but I don’t see guitar music as completely out of fashion. It’s interesting, though. I was talking about this with a friend the other day, and about how pop music is now electronic music. I mean, every single song in the charts has an electronic beat and synthesisers and electronic manipulation. It’s very rare that you even have something like Adele; something that is actually not just house music made into a pop song. It’s all really synthetic. But that can be good too. Outside of music, were there any other factors that informed the record? I would pick "Biggy" because I’m still surprised at how we were able to make that song. It sounds like something bigger than us. To me, at least, it transcends what I expect from our sound and the way that we interact with each other, and has this really unexpected, mysterious quality to it. I still really enjoy listening to it. So what’s the plan for 2014? Just surviving the tour that we’re embarking on this year. It’s going to be pretty intense, but really fun, so I’m looking forward to that. I think we definitely all want to make the next album a lot quicker than this last one too, so we’ll be continuing to write new music as well. 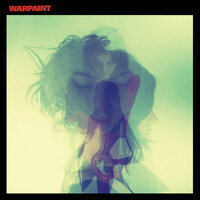 Finally, what’s been the highlight of your time in Warpaint so far? I think making this album. I mean, I’ve definitely had more fun and exciting – and less challenging – experiences. But if this was my only experience of being in this band, I would feel proud of the album we’ve created. I feel like it’s a really good representation of four individuals collaborating.